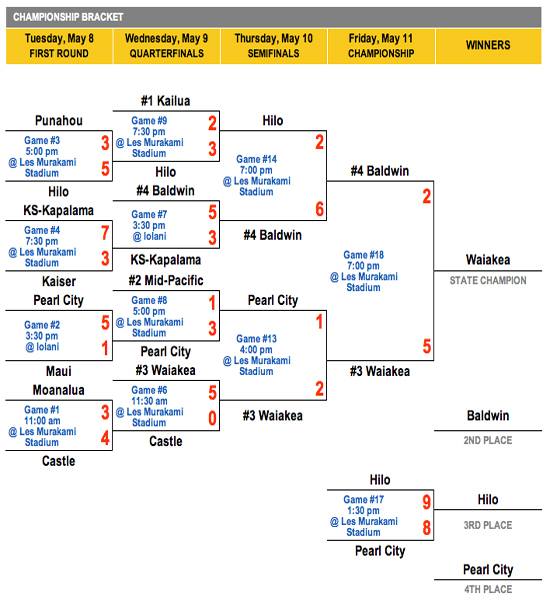 Waiakea won its first state baseball title Friday evening on Oahu, taking out Baldwin, 5-2. Waiakea stand-out pitcher Quintin Torres-Costa led his team to the Division I crown by shutting down the Baldwin bats. Torres-Costa struck out 13 batters, including a run of 12 straight strike outs. Torres-Costa eventually had to leave the game after 6 innings, when he reached the pitch limit. His remarkable effort in the state championship game capped an excellent week for Torres-Costa and earned him the Division I All-Tournament Most Outstanding Player award. While Torres-Costa was ruling the defense, his teammates took advantage of three Baldwin errors in the 4th inning and added another run in 5th inning. The Big Island Interscholastic Federation champion finished the season undefeated (20-0) under coach Kevin Yee. In Division II, No. 2 Waipahu clipped No. 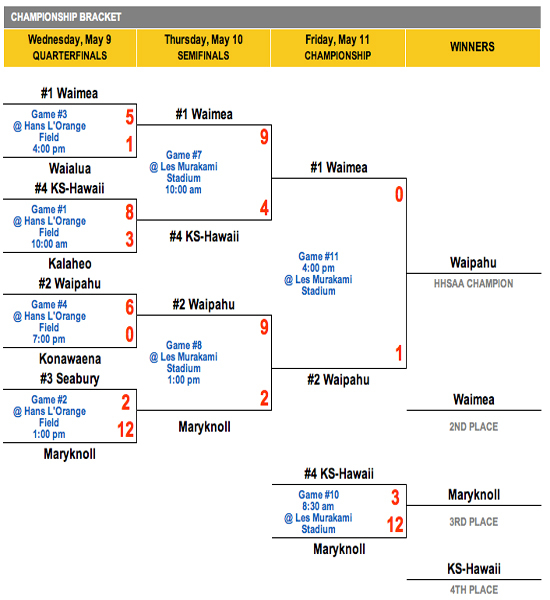 1 Waimea, 1-0, to win the state crown. 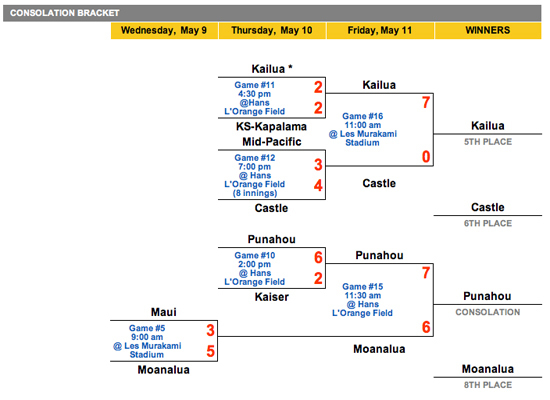 Kamehameha Schools Hawaii lost 12-3 to Maryknoll and had to settle for fourth place overall. 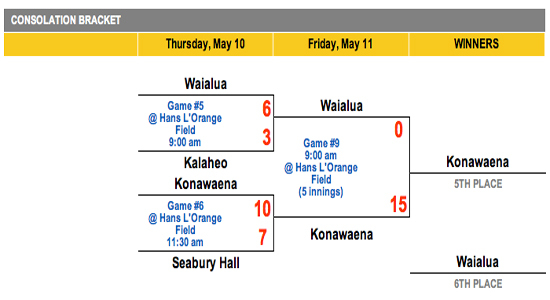 In the Division II consolation bracket, Konawaena romped over Waialua, 15-0, to take fifth place overall.